As the old saying goes, it takes money to make money. Which is all well and good if you have a load of money sloshing around in your bank account, but if you don’t, you’ll have to source it from somewhere. Thankfully, in the digital age, there is a plethora of funding options available to you that might not have been there a decade or two ago. That’s not to say that obtaining money for a startup is easy – far from it – but if you have a good idea, and the business nous to back it up, then there has never been a time to start a new business. Here, I’ve put together a collection of some of the best ways to find funding to help your startup to achieve its stated aims. Of all the forms of financing that are available to startup businesses, grants are hard to beat. You don’t need to pay them back, or even hand over a slice of your future profits – you just get the money. The flipside of this is that you often have to jump through quite a few hoops in order to obtain them, but if you have more time than money, then they are by far one of the best options available to you. In general, enterprise grants tend to come from government agencies as part of an economy-boosting initiative, or to boost the business opportunities available to groups that are considered to be at a disadvantage, such as single mothers or ethnic minorities. If you’re starting your business in the US, then your first port of call should be the US Government’s own Federal Grants website. This gives you access to the full panoply of grants made available by various Federal agencies for different business sectors. You can search by category, by agency, or by the type of grant you are looking for, and it also contains a wealth of information for those looking to find grants including a grant forum and a list of other grant websites. Similar websites exist for other territories, and a Google search for “[country] business grants” should turn up a host of websites offering useful information and links. For example, the SmallBusiness website in the UK contains several advice articles – with links – on how to get grant funding for your startup, while the European Small Business Portal offers a similar service for startups within the EU. Besides government grants, the only other way to obtain no-strings funding (besides discovering a benevolent uncle or aunt) is to enter a contest. Like grants, most of these are sector-specific, and while they are often harder to win than grants, the rewards are often far greater. Often, companies and organizations will sponsor these types of contests as a PR exercise in order to boost the level of interest in an endeavour they are involved with. Some of the higher-profile contests include the MIT $100K Entrepreneurship Competition in the US, and the Lloyds TSB Enterprise Awards in the UK. You can find more comprehensive lists of business awards and competitions at the Entrepreneur Handbook website in the UK and Grasshopper’s Startup Competition Guide in the US. As was the case with grants, a Google search for “startup competitions [country]” should turn up some useful links. This social-age way of finding funding for your startup has been creating quite the buzz in startup circles in recent years. 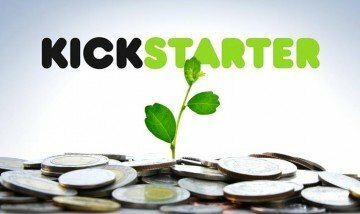 Basically, it involves posting your business idea on a site such as Kickstarter or Indiegogo, and hoping that enough small investors like your idea enough to give it the collective funding it requires. The reason this is so effective – when it works – is that the process of finding funding for the idea can give you a hugely valuable dose of viral PR. Of course, there can be obvious drawbacks to having such a prolonged, public funding round, in that it gives your potential competitors plenty of time to copy your business idea. Also, the level of competition for funding on these sites far outstrips the amount of people that are currently investing in businesses this way. However, if your idea is the kind of project that requires a bit of social marketing buzz in order to make it fly – such as a culty film project for example, or a niche electronic product – then this could be the perfect route to go down. For as long as anyone can remember, borrowing money has been the go-to option for entrepreneurs looking to fund their startups. Obviously, this is a bit of a last resort, as it puts you under pressure right from the off to make money to pay off the loan, and unless you outpace the interest payments by a significant amount, you will struggle to find the funds to grow your business or even pay yourself a decent wage. Furthermore, in the aftermath of the financial crisis, banks have become very risk-averse, which has made it very difficult for startups to obtain funding in this way. That being said, there are some quite good resources out there for helping you to get a business loan. The US Small Business Administration offers a pretty good 6-step guide to getting a business loan, and provides a range of resources to help you find loans for a variety of circumstances, such as loans for startup costs or emergencies. The UK government website provides a similar service, which also includes some highly informative videos on topics such as forecasting your finances.